Studies of the street and house. Housing clusters flourish against all odds in the high-rise developments in Mumbai’s suburbs. A small street, where URBZ is currently assisting a family with the expansion of its house, is a classic example of such low-rise, high-density settlements. This project is part of URBZ’s Homegrown Cities initiative and the Marc Hood collaboration. The street exudes a welcoming air and feels like an urban(e) village. At one time, many such settlements used to be built by the now defunct Bombay Housing board, a government body presently functioning as MHADA. Here, located in the larger area of Sakinaka there seems to be a coming together of village-like spatial and social organisation with megacity-type urban congestion. Such neighbourhoods are typical of affordable, low-rise development schemes, which old-time suburban dwellers can relate to well. Sakinaka is part of the Andheri suburb of Mumbai, where 15 lakhs people (1,5 million) live. This part of the city developed rapidly as a business and commercial district. Until a few years back, Sakinaka was a landmark industrial area, with many workshops and manufacturing units. Though these are still largely present, they are rapidly giving way to the financial and services sectors of the city, including the entertainment industry. Incremental developments and user-generated conversions from industrial to residential use have produced a very mixed neighbourhood. Sakinaka’s rapid transformation is partly due to its improved connectivity with the city and its proximity to the airport. The city’s first elevated metro line – the Mumbai Metro line 1 – now passes through Sakinaka and connects the eastern and western suburbs of the city. The area is affected by high traffic congestion especially at the Sakinaka junction. Infrastructure and amenities development hardly keep pace with high-speed development of the area. 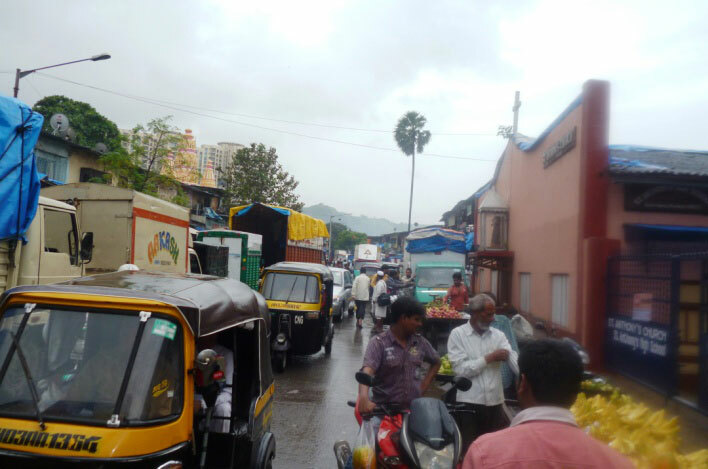 All through the day, heavy traffic runs through the area, and the footpaths off the main roads and the by-lanes are busy with pedestrians and hawkers. 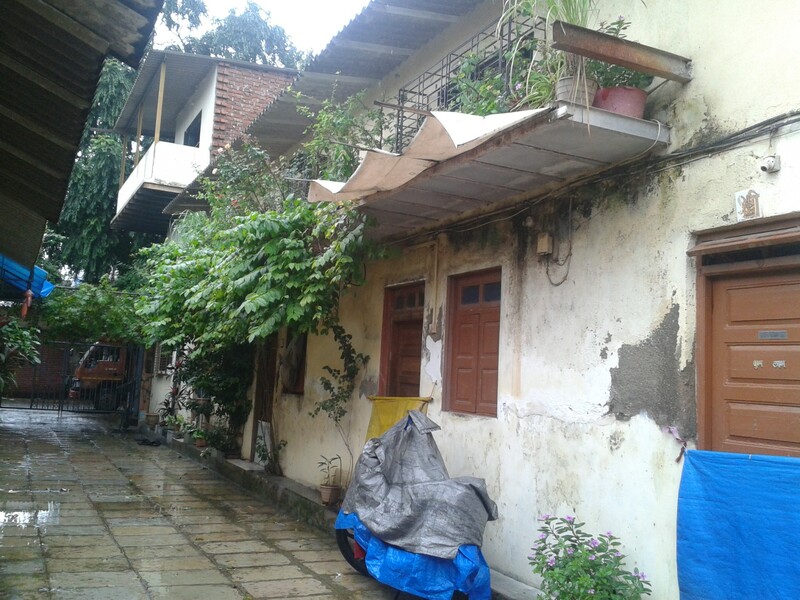 The street’s typology is reminiscent to that of the chawls once built in many parts of Mumbai by the municipal authorities or mill owners to house the working class. This house, however, was part of a private project by a group of people who decided to join forces to construct their homes. 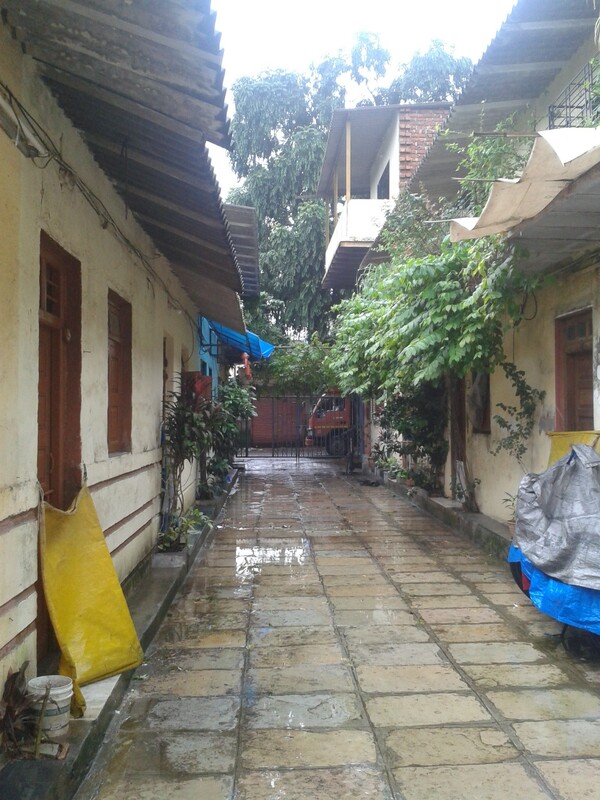 In the early 1970’s this group, which was involved in the organisation of the annual Sarvajanik Ganesh festival, decided to develop their own housing colony. They managed to acquire land from a local landlord in 1979 and built the existing colony. This history helps understand the neighbourhood’s strong sense of community. These houses are now absorbed in the bustling industrial fabric of the area. The Sarvajanik Ganesh festival is a well kept tradition, especially in Sudhir’s colony. The festival brings together all the residents. The gigantic Ganesh idol is a huge crowd puller. ‘Sakinakacharaja’ is one of the oldest and most famous Ganesh idols, and sits very near Kherani road where Sudhir resides. All the houses in that street were originally clones of each other, lined up in a row. The houses are rectangular in shape and have two long shared common walls on each side. All units share a common front yard, from where one can enter the house. The houses have openings on the shorter sides too. The front – shared – veranda makes for a pleasant interaction space for the residents. The street becomes particularly lively in the evening, when kids are back from school and parents return from work. Along the rear side of the dwellings is a long shared passageway mainly used as a utility area for washing and drying. In certain places this back passage has also been converted into a part of the house. The houses have a sloping gabled roof, which works best during the monsoon season. 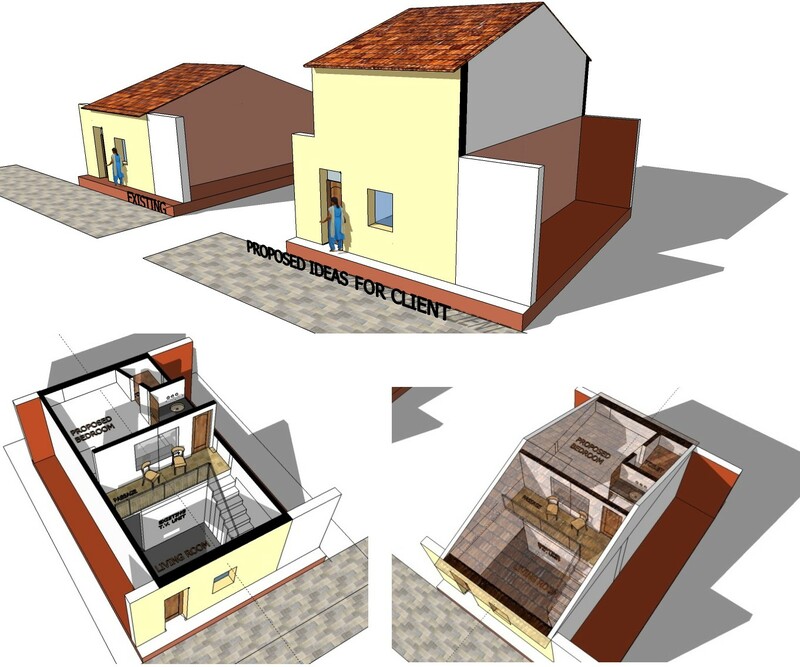 Overtime, the houses have been modified and altered in various ways, as per the users’ needs. Consequently, the street is now pretty diverse. Yet, because the plot size and the building heights have only mildly been tampered with, the street has maintained a certain coherence and its distinct character. 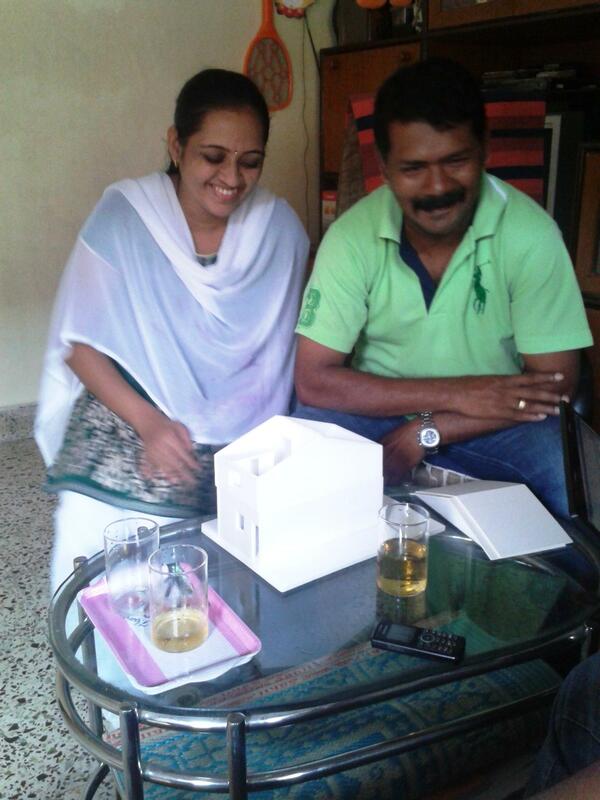 Sudhir, the owner of the house we are involved with is himself a local builder. He has changed the interiors of his house slightly overtime. The house currently has one window on the shorter wall next to the main entrance door and another on the rear wall. A long passage on one side of the house opens to the interior living spaces – the living room followed by the bedroom and then the kitchen. A loft, used for storage runs along the entire house with a small puncture in the corridor to access it with a ladder. In the collaborative process, URBZ/Marc Hood are both learners and co-designers. We learn from local craftsmen and labour, especially their techniques and styles. 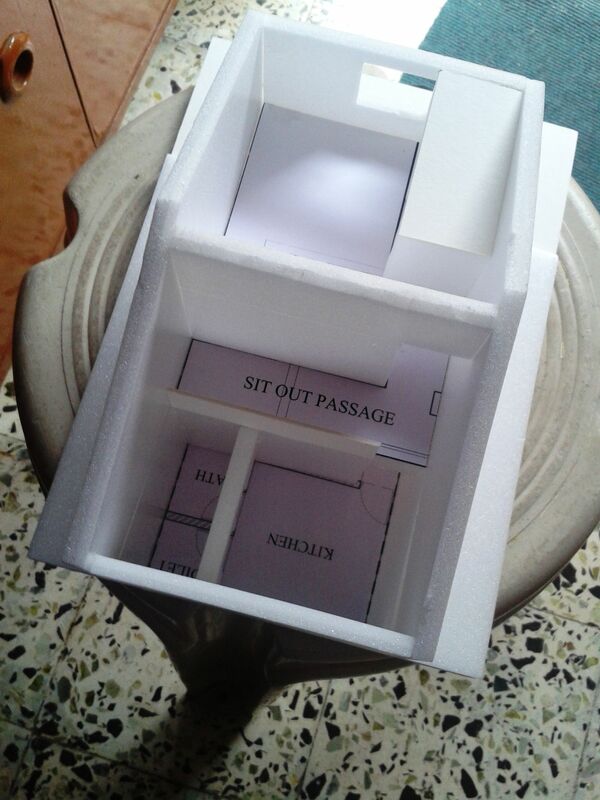 We also give creative design and aesthetic inputs. 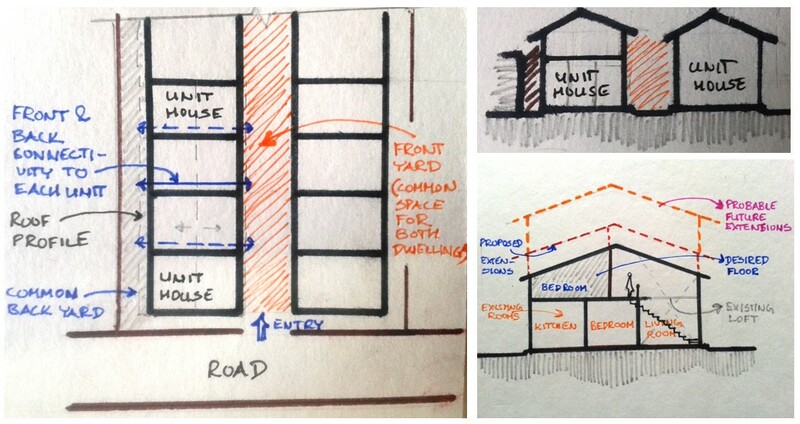 The owner of the house wants a level to be added to the house in order to transform the loft into a habitable space. An attic for storage can be further added above the new room. 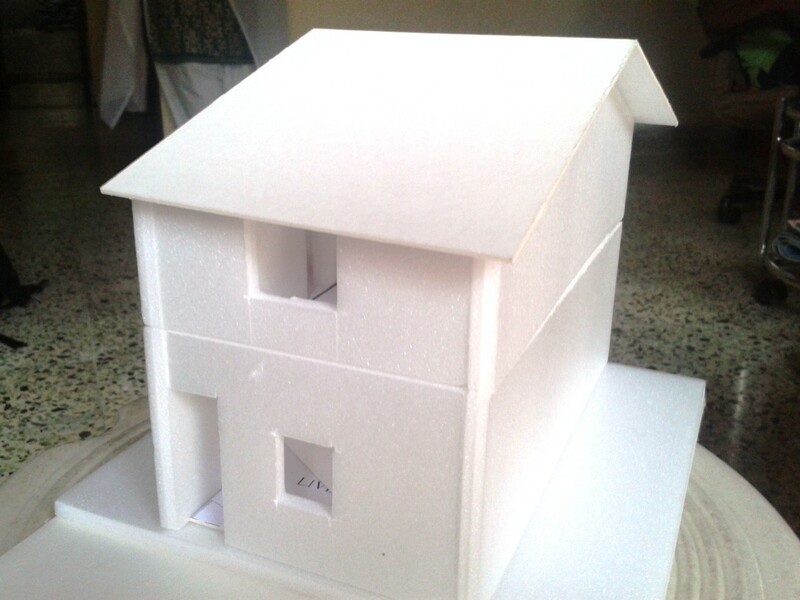 In the process, the roof will have to be elevated. The volume has to be redesigned so that a staircase can be added to access the new level. On the first floor a bedroom with a bathroom and a sit out passage space overlooking the living room will also be added. 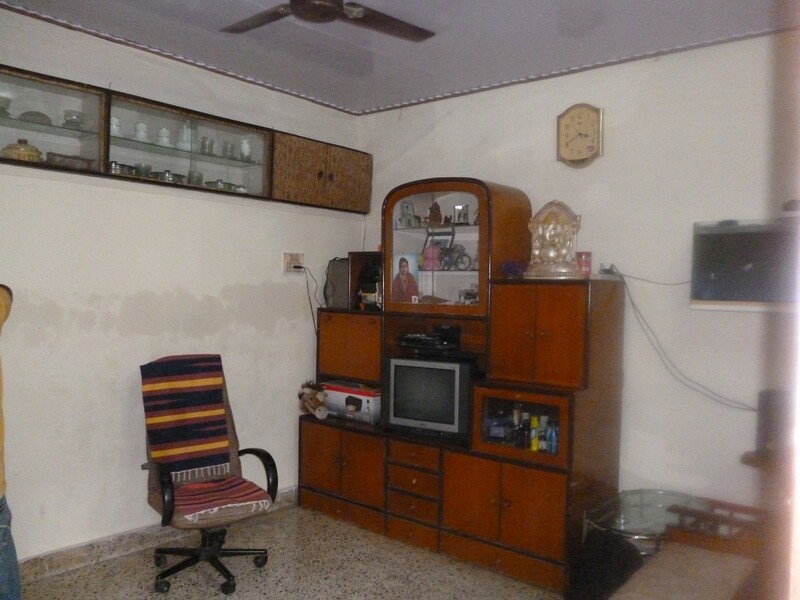 Sudhir and his wife Neeta would like the living-room to be of double height volume uninterrupted by any floor slab. He is also thinking about the possibility of adding another level above his bedroom, which could be used as an additional storage space or even a habitable space. While designing the present space, future aspirations have to be taken into account and a decent access staircase should be provided. He also wants a large window, with provision for comfortable seats from which one can look at the the front street. The window frame should be large enough so that one can sleep on it. He gets frequent visits from relatives from the countryside and wants to be able to accommodate them comfortably. We are discussing new windows at the first level, the position of the staircase, and the door arrangement, keeping in mind the possibility of a future staircase going all the way up within the spatial limits of the house. 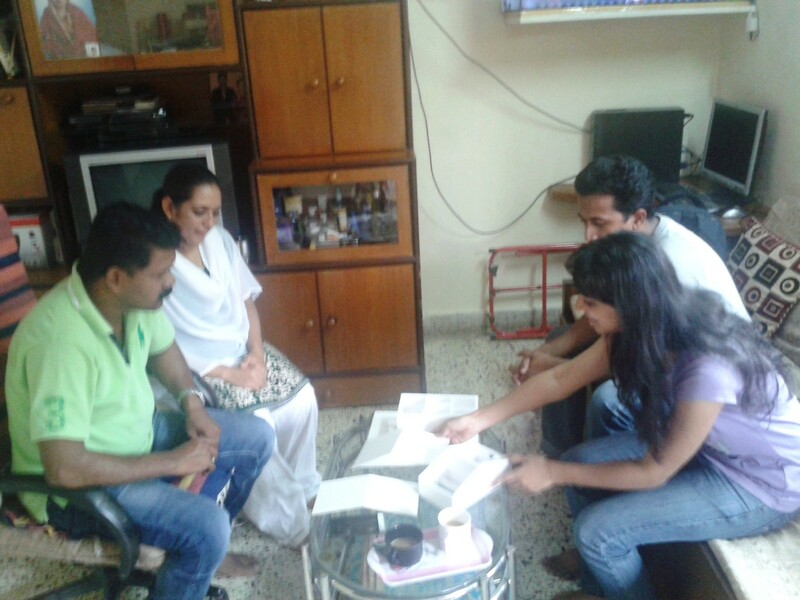 As we talk with Sudhir and Neeta, new design ideas keep on emerging. For instance, we are now discussing different types of openings in the wall elevations, including punctures filled by glass bottles or glass bricks. The process is moving along swiftly with each conversation being a new learning experience! We shall keep you updated as the project progresses. Apurva Purandare graduated from the L.S. Raheja School of Architecture in Mumbai and she is currently volunteering with URBZ.